Clemson has found itself in a bit of unfamiliar territory. The Tigers have started off ACC play 0-3 for the first time since 1999-2000. That season, Clemson started ACC play with six consecutive losses. If the Tigers don’t want to go down that same path, they are going to have to turn things around against Georgia Tech. The Yellow Jackets are 10-6, 2-1 in ACC play and will travel to Littlejohn Coliseum for a late-night 9 p.m. tipoff. Brad Brownell met with the media today to preview the upcoming contest. On the list of things his team needs to do to turn this losing streak around, finishing plays and simply putting the ball in the basket is at the top. The head coach feels like his team has competed hard in five of the last six halves of basketball they’ve played (the one being a disaster at Duke). The defense and intensity on both ends has been there, but they just haven’t been able to finish plays on offense. In losses against Syracuse and No. 4 Virginia, Clemson has combined to shoot 33-of-107 from the field, a whopping 30.8 percent. Brownell thought going into the Virginia game in particular that his team would have to make around 8 to 10 three-pointers. The Tigers failed to do that and shot an abysmal 3-of-19 from behind the arc. 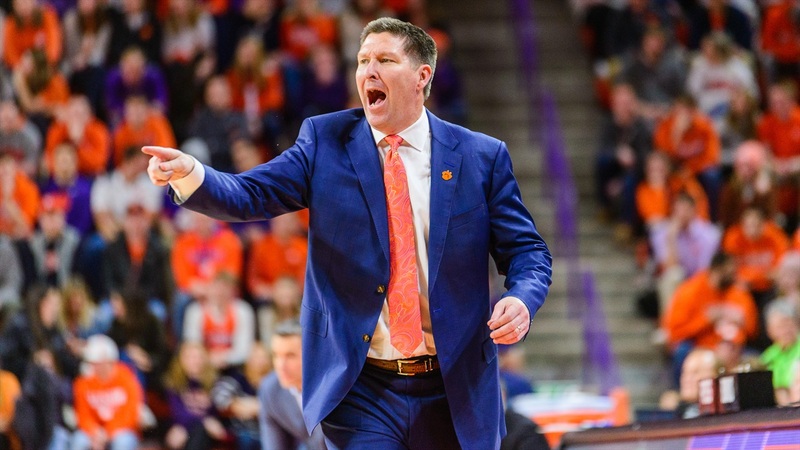 Brownell said the team has put in extra time this week, before practice or after practice, to do some skill work and work on getting out of their shooting slump. Clemson is looking for its fourth consecutive victory over the Yellow Jackets.The last time Georgia Tech beat Clemson in Littlejohn was in 2005 when the Yellow Jackets won by 12. They are led by sophomore guard Jose Alvarado, who averaged 14 points per game in 32 minutes. -- Is this an 0-3 team or is this a team that has had a rough go of it? -- Teams don’t shoot very well against Georgia Tech. The Yellow Jackets have their “elite” center, which makes their overall defense better. Overall, their offense is getting in a little more rhythm. -- Said the team’s struggles haven’t come from a lack of execution from an X’s and O’s standpoint. Guys are trying hard to make shots and sometimes leads to them pressing a little bit. The key part is getting them to relax. Quickly reminded us that Aamir Simms has a game this season where he’s made five three-pointers and Marcquise Reed and Shelton Mitchell are more than capable of doing the same.